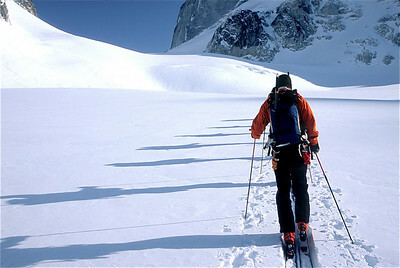 Welcome to Alaska’s most remote and spectacular ski-mountaineering adventures! 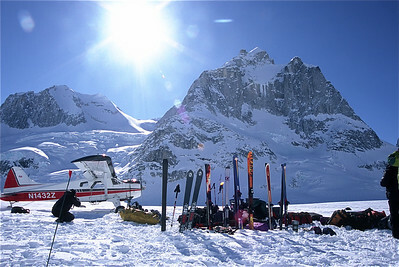 Accessing the range by ski plane, we’ll spend the first week camped on the glacier practicing backcountry and glacier travel skills and searching out memorable first ascents and descents. 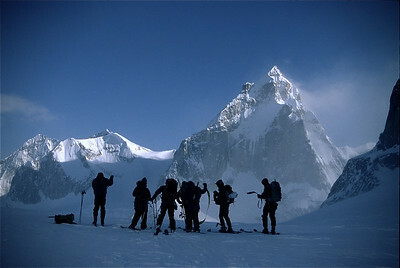 The second week will be spent touring European-style through glacier passes and dramatic peaks. Remote, stunning, diverse, and magical, are just a few adjectives that we've come up with to describe the Neacola Mountains. 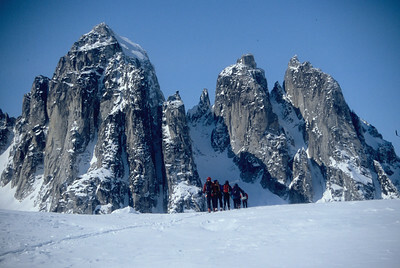 Located approximately 120 air miles west/southwest of Anchorage, the Neacola Mountains comprise the southernmost portion of the massive Alaska Range. At roughly 150 square miles, this small portion of Lake Clark National Park offers some of the finest ski touring and ski mountaineering potential in the entire state of Alaska. 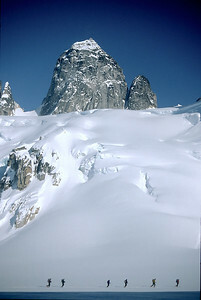 What’s even more enticing is the fact that the Neacolas have seen very little in the way of skiing or climbing activity. This means we will be skiing some beautiful first descents! 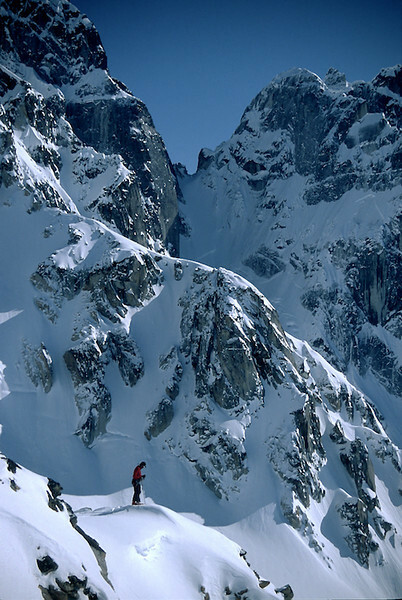 Given the northern nature of Alaska, these relatively low elevation mountains provide excellent skiing with great snow quality on a variety of terrain within easy touring of our basecamps. Another great thing about the lower elevations is that it is much easier to reach the top of the peaks without contending with altitude issues! This means great skiing within your grasp. 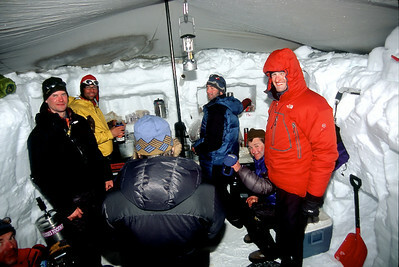 Also, there isn't a heli ski operation for many miles so it is just you and your guides and the spectacular skiing terrain of this pristine winter environment. 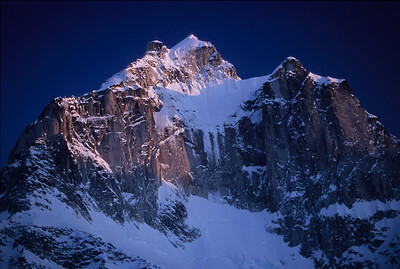 Except for an occasional reference on the USGS topographic maps, most of the peaks and glaciers in the Neacola Mountains remain not only unskied, but also unclimbed and unnamed. 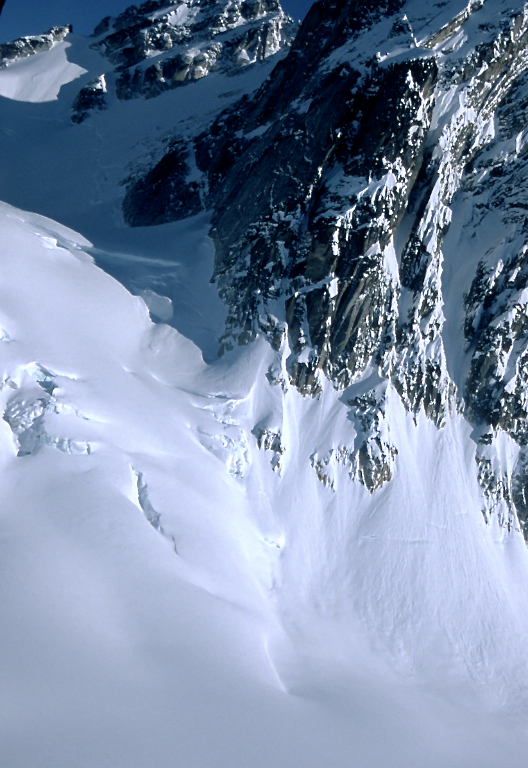 Want to ski big, untracked powder with Alaska Alpine Adventures? 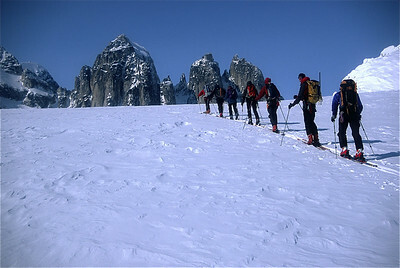 Visit us at http://www.alaskaalpineadventures.com/trips/skiing/powder-steeps-glaciers for more information!